Jacoby Dakota Shaddix was born on the 28th of July in 1976. He was born in Mariposa, California and his parents divorced when he was just six years old. Jacoby has two younger brothers named Trevor and Bryson. He attended Vacaville High School where he played clarinet in the school orchestra. Papa Roach was founded in 1993 by Jacoby Shaddix upon meeting drummer Dave Buckner. Jacoby started out playing the drums, but quickly realised that Dave played the instrument much better than he did. Jacoby then decided to play bass, but his bass ended up being stolen. He then became the lead singer for the band. At 17 years of age Jacoby started to work as a dishwasher in order to pay the rent for an apartment he shared with a friend. Later on he became a janitor at a hospital up until 1999 when he started to pursue his true passion which was music and Papa Roach. On the 19th of July 1997 Jacoby married his high-school sweetheart Kelly Shaddix, with whom he had two sons namely Makaile Cleio Shaddix, born March 24 2002 and Jagger Monroe Shaddix, born September 13 2004. Their relationship was apparently quite rocky and Jacoby has written a few songs about their dysfunctional relationship, namely She Loves Me Not, Time and Time Again, Decompression Period and Walking Dead. Jacoby and Kelly split during the making of their 2012 album The Connection. Jacoby regularly brings his two sons and Kelly on tour with him. Jacoby has struggled with drug addiction in the past, but his most serious problem was with alcohol. Jacoby used alcohol in order to overcome the emotions that he experienced while missing his family when he was on tour. He would look at pictures of his children and he would medicate himself as a means of suppressing his feelings temporarily. 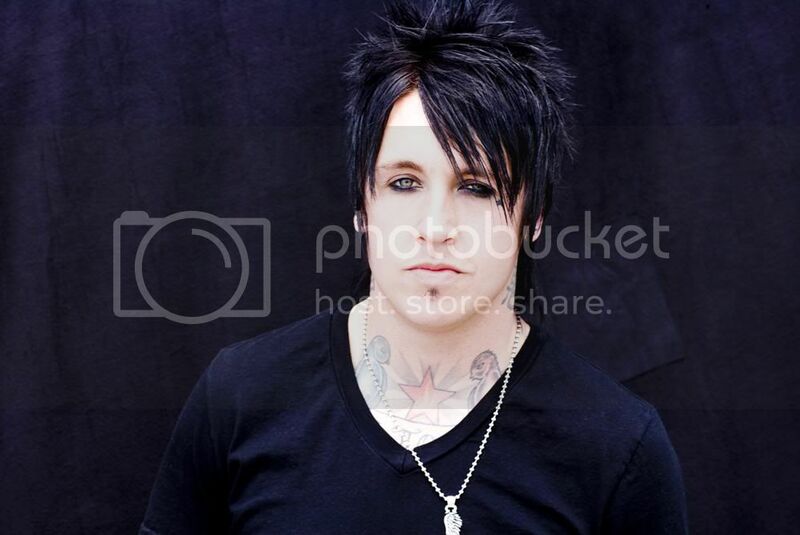 Jacoby has written about his battle with alcohol in the songs “Binge”, “Black Clouds” and “Scars”. At one point Jacoby became a cutter and started experiencing suicidal thoughts, he became aware of the fact that he didn’t want to die and that was when he realised that he needed to get sober. Jacoby founded the band along with drummer Dave Buckner, bassist Will James and trombonist Ben Luther in 1993/1994. Ben was replaced by Jerry Horton, Will by Toby Esperance and Dave by Tony Palermo leaving Jacoby as the only original member left in the band. The band’s name Papa Roach was derived from Jacoby’s step-grandfather, Howard William Roatch, whose nickname was Papa Roatch. Howard comitted suicide in 2006, because he was diagnosed with terminal cancer. The band wrote the song “Roses on my Grave” in memory of him. Jacoby had a side-project in 2002 with a band called Fight The Sky. Jay Ingram and Wade Khail had been long time fixtures on the Sacramento, California music scene. Khail was a guitar tech for hometown band Papa Roach since 1997 and Ingram was running Ascensive Marketing and Promotions which promoted many Sacramento bands, clubs and music publications. The band signed a record deal with Papa Roach’s self-owned label El Tonal Records. Jacoby Shaddix hosted the MTV show Scarred, but was forced to stop due to the band’s hectic touring schedule. Scarred featured victims of skateboarding, biking and other extreme sports-related injuries. Jacoby introduced the victims before a clip/renactment of the incident was shown followed by commentry by the victim about the injuries he/she sustained. The show was named after the popular song from Papa Roach “Scars”. Jacoby Shaddix has numerous tattoos one of the first ones he got when he was 21, with his wife’s name tattooed on his left arm. Born to Rock is tattooed across the top of his chest, he has Love tattooed on his left knuckles and Hate on his right knuckles. On the left side of his chest he has a Queen surrounded by water and on the right is a King surrounded by flames, which represents the good and evil within himself. On his right arm he has a scroll that reads ” Here Lies Jacoby Dakota Shaddix” and underneath it reads “Born with nothing, Die with everything”. His sons’ names are tattooed on his wrist. On his left arm he has a house in flames which references the band’s song “Broken Home” and a coffin which references their song “Harder Than A Coffin Nail”. On the back of his neck, Jacoby and his wife has the Chinese symbol for Love etched on their skin. Papa Roach are currently back on the road after several stops and starts this year as Jacoby was determining whether vocal surgery would be neccessary. After his surgery he had some time off at home, he reports that his voice is doing great. He was very lucky to go to the right doctor and get the surgery performed by him. Jacoby admits that it was a scary experience, but he is doing well. Still Swingin’ was named one of the Best 10 Rock Songs for 2012 by Loudwire. Papa Roach is currently sharing the stage with Stone Sour and the tour will move to North America in 2013. Jacoby Shaddix has the ability to convey pure, raw emotion in his songs. You can hear the passion he has for his music through his lyrics and his voice. I remember when I was in my last year of Primary School that Last Resort was immensely popular among my peers. This is quite strange looking back, because Sum 41 and Blink 182 were really popular during those days where punk rock dominated the airwaves. As a listener (even at that age) you could tell Papa Roach’s sound was edgier and darker than the more popular songs on the radio. I really love the majority of the songs they released as singles and I look forward to hearing more of their songs in the future. Halestorm nominated for a Grammy! I’m so proud to share this amazing news! Halestorm has been nominated in the BEST HARD ROCK OR METAL PERFORMANCE category for the 2013 Grammy Awards! Lzzy Hale is the first female to nominated in this category. I really hope they win the Grammy, but either way to be nominated is a huge honour!